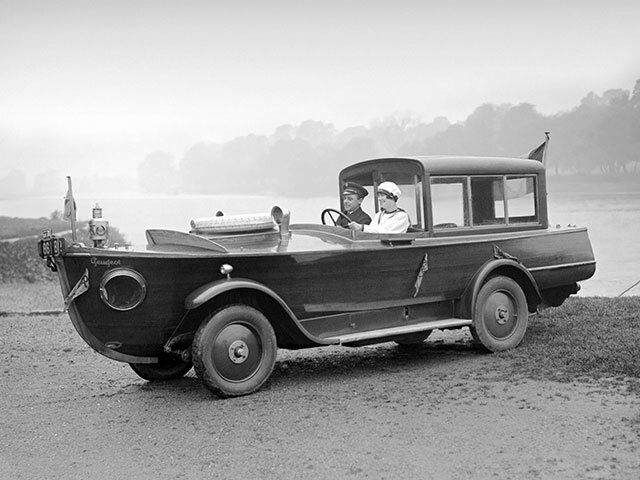 This hybrid boat car made by the French Peugeot company looks like a swanky way to spend a day on the lake. 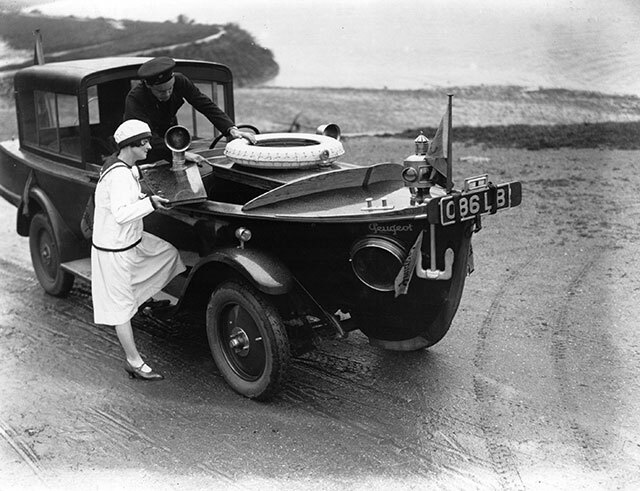 However, the car was not actually amphibious. 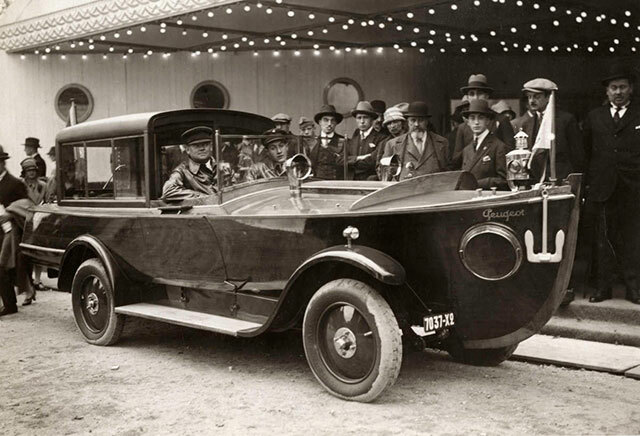 It was a boat hull mounted on a car chassis with a propeller, but no drive shaft. It was designed to advertise the company’s nautical branch, Peugeot Nautica.